Gongs and bells vibrate, tremble, quake, quiver, flutter, flicker, murmer, hum, throb, ding, dong, peal, ping, trill, tinkle, oscillate, ring and shake. Each one a microcosm. Add some African thumb-pianos, small percussion, ambient recordings, and a Fender-Rhodes electric piano, and you get an interestingly clear soup – meditative but very much alive, buddhists along the Zambezi. 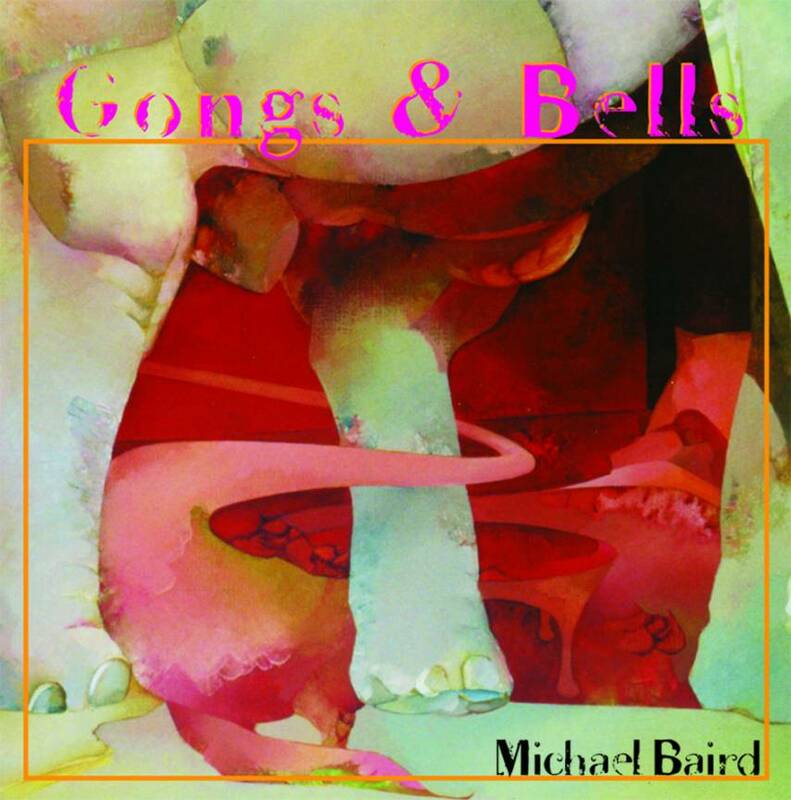 All instruments by Michael Baird, recorded in 2002. A lot of care was taken to achieve such clarity of the gongs and bells in these recordings: all the overtones are there, sit back and enjoy the journey of soundscapes you get taken on. Some of track 6 was used in the award-winning film The Tree Of Life (directed by Terence Malick, 2011). Total time: 67'35". 8 page booklet. Tracklist: 1. Hand Bells, 2. Sound Bar, 3. Floor Gongs, 4. Church Gongs, 5. Tibel Cymbals, 6. Wind Pipes, 7. Jingling Bells, 8. Stick Gongs, 9. Bamboo Chimes, 10. Zen Bowls, 11. Gong Song, 12. Cowbell Solo, 13. Double Sound Bar, 14. Pastoral Bells, 15. Pearl Chimes, 16. Java Bells. Jazz 2002 (NL): "Dit album betreedt het grensgebied tussen volksmuziek, improvisatie en geluidscollage zonder experimenteel te zijn en waarbij je lijkt te worden bevrijd van allerlei muzikale conventies." "This album enters the borderland between ethnic music, improvisation and soundscape without being experimental, and where you seem to get liberated from all kinds of musical convention."